Aside from that very short recent tease, we’ve not had a lot of character-related news about Game of Thrones‘ Season 7. We know it’ll be shorter and later than ever before and frankly, I don’t have high hopes for a lot of forward story movement — knowing tptb, they’ll leave us hanging until the final, 8th Season before revealing The Big Stuff (who survives until the end, who’ll end up on the Iron Throne, whether Cersei’s prophesied death happens and by which brother’s hand …). At least it seems as if one character lives through what comes our way this July (16th), and we’re especially thankful because he’s a longtime favorite. 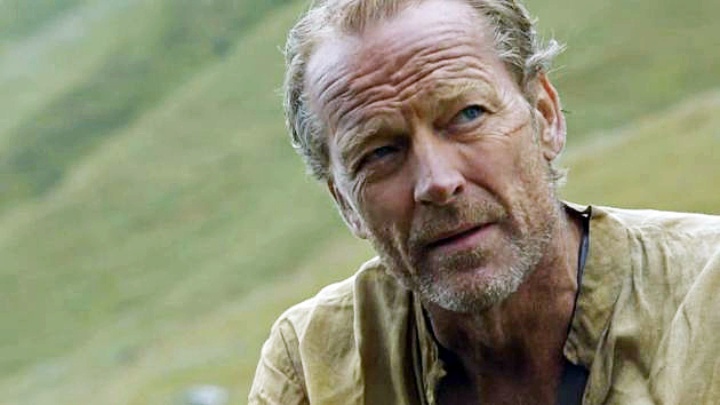 Though Iain Glen knows in Thronesland, no one is truly safe, he says that for now, Ser Jorah is alive and kicking. Considering his comments were published only a few days ago, and Season 7 wrapped back in February, I’m taking this to mean Jorah makes it to the series’ last season. Color us both relieved. The busy actor who’s currently starring in three series (Thrones, Cleverman, Delicious), a telefilm (Jack Taylor), and a has a few features (Beautiful Devils, My Cousin Rachel, What About Love) on the way, spoke about taking on beloved book characters, including Ken Bruen’s detective, with New Zealand’s Stuff. Glen also acknowledged he looks absolutely nothing like Ser Jorah Mormont as described by George R. R. Martin, and ventured a guess as to why he got the role. Yeah, that’s probably true. After all, even Tyrion was prettied up from his book self. 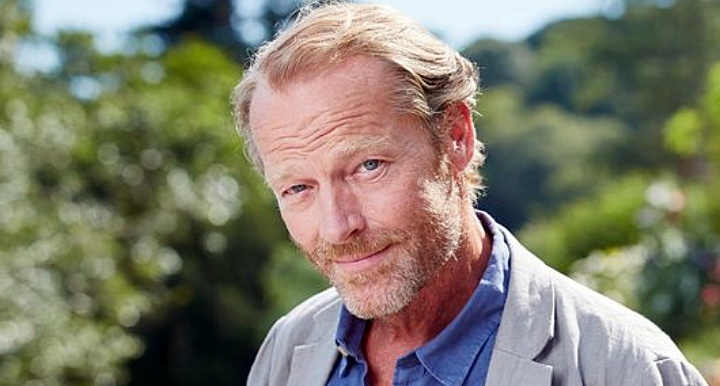 As far as we’ve traveled with Jorah through A Dance with Dragons (even though there’ve been slight show diversions and happenings on his route), and as wonderful as Iain Glen has played him over the years, I’m thrilled to hear he’ll be around at least until the beginning of the end. Despite a bit of troublesome greyscale, this gives us hope that Ser Jorah will indeed be by Dany’s side when she takes back the Seven Kingdoms. Tags: A Dance with DragonsA Song of Ice and FireBeautiful DevilsClevermanDaenerys TargaryenDaenerys x JorahDany x JorahDeliciousGame of ThronesGame of Thrones Season 7Game of Thrones Season 8George R.R. MartinGRRMHBOIain GlenIron ThroneJack TaylorJorah x DanyKen BruenMy Cousin RachelSer JorahSer Jorah MormontWhat About LoveWill Ser Jorah live through Game of Thrones Season 7? Previous story Does a New Alien: Covenant Instagram Video Confirm Dr. Elizabeth Shaw’s Gruesome Fate?